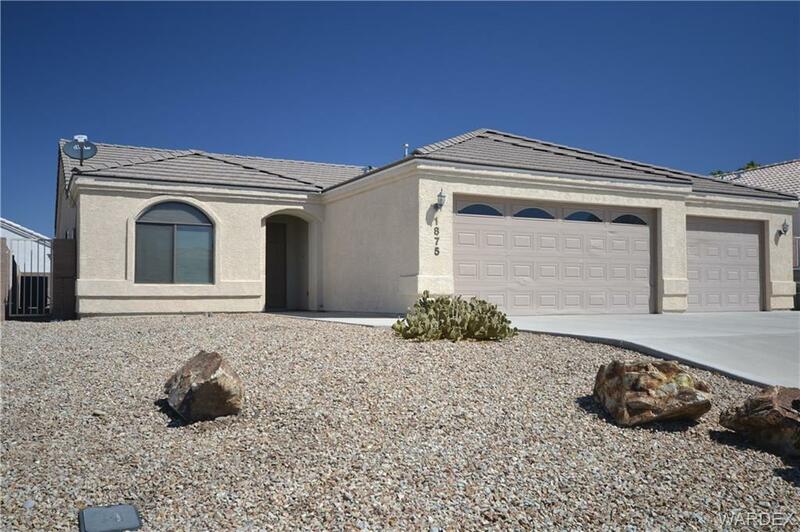 A clean, comfortable, 3bed/2bath split floor plan & BOAT DEEP 3 car garage! Upgraded wood cabinets. New carpet just installed. Spacious dining area, LARGE pantry, utility room, pot shelves & soft water loop. Backyard has block wall, covered patio, gas stub for BBQ & low water desert landscape. All of this in the Huukan Golf Course community with NO HOA! Close to three golf courses, restaurants, shopping and medical. Move in ready!